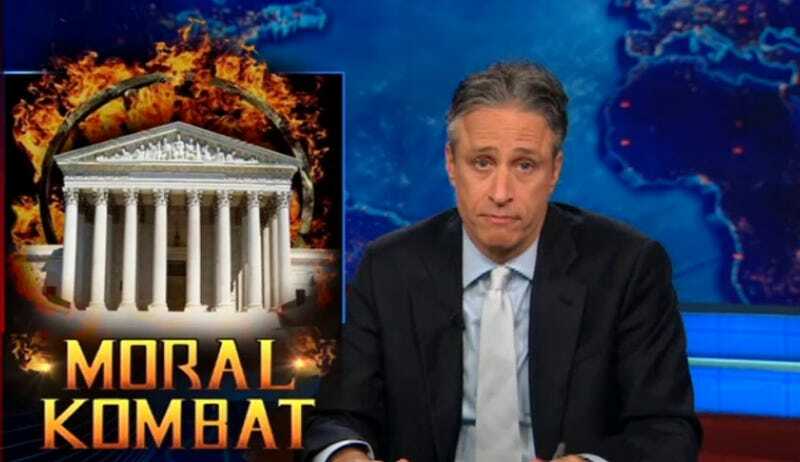 Jon Stewart fumbles the ball on his take down of the Supreme Court's decision to rule that video games are protected speech this week, forgetting that he's living in the same glass house. Ironically, Stewart uses the very graphic video game images he thinks should be criminalized, on a television show that is itself protected speech. Get back to me when you think it should be illegal for a 17 to watch your show Jon. Update: I get that Stewart is doing this to point out perceived hypocrisies on the part of the U.S. Supreme Court justices, but he's throwing video games under the bus to do it. I'm not saying I disagree with his point, just how he made it.